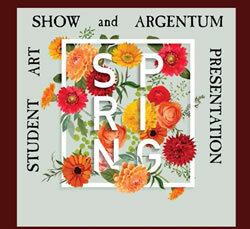 Great Basin College’s Art Gallery will be hosting the Spring 2017 Student Art Show and Argentum Feature through May 11 at the Leonard Center for Student Life on the GBC Elko campus. Argentum is GBC’s literary and art magazine which publishes artwork, photographs, and writing submitted by GBC students, faculty, staff, and alumni and community members within GBC’s service area. The public is invited to attend a free opening reception celebrating the artists Tuesday, May 9 from 4:00 – 6:00 p.m. The 2017 Argentum issue will be available at the reception. Ceramic bowls made by GBC students will also be for sale along with ice cream. The public will have the opportunity to see many submissions in-person, as well as meet the published artists, photographers and writers behind the artwork. Location: Great Basin College Art Gallery, Leonard Center for Student Life, Elko Campus. Reception: An opening reception will be held Tuesday, May 9 from 4:00 – 6:00 p.m. in the Great Basin College Art Gallery, Leonard Center for Student Life, Elko Campus and is free and open to the public. There are variety a of art classes being taught at Great Basin College ranging from drawing and photography to jewelry and glass-bead making. Enrolled students range from beginner to advanced and the quality of work is impressive.